Prime lens have a fixed focal length. The best example is the popular 50mm lens that most beginner photographers put in their bag as their first fixed lens. Like everything in this world there will always be schools of thought for the fixed focal length versus zoom lens debate. I really don’t want to become embroiled in a “this is better than that” type of article, preferring to stick to the facts. There’s a lot going for owning only prime lenses yet, like everything in this world, there are also disadvantages. Let’s go through a few of the basic reasons for buying a fixed lens. First we will talk about a few of the advantages, then the disadvantages. You can then better make up your own thoughts about prime lens versus zoom lenses. Sharpness is the key to any photograph. Zoom lenses are notoriously softer at the maximum and minimum lengths. With a prime lens there is no such problem. You can make the most of todays quality high resolution sensors by using a fixed focal length lens. If you want good quality shots, a prime lens will deliver. With few moving parts there is less chromatic aberration that occur on the upper and lower end of zoom lenses. Chromatic aberration is a type of distortion in which the lens fails to focus on all colors to the same convergence point. You may or may not have heard the term fringing or haloing, which generally occurs along the edges separating light and dark portions of images. 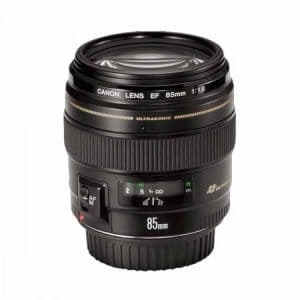 Prime lenses generally maintain sharper focus along the outer edges of the frame. Prime lenses are usually faster, meaning low light photography get’s easier without having to raise the ISO. Again using the 50mm as an example, an F/1.4 is 4 stops faster than a typical 18-55mm kit lens. An F/1.8 is 3.3 stops faster and even the cheapest 50mm F/2.8 a remarkable 2 stops faster than a kit lens. A faster lens allows you to blur the background more effectively, producing nice bokeh and soft backgrounds. Your photographic creativity is enhanced because you need to move in and out, instead of sitting in the one place and using the lens zoom feature. Prime lenses are smaller and lighter. The weight factor is an absolute bonus, especially for wedding photographers and travelers. Being lighter and smaller can actually increase sharpness in hand held shots. Add that extra sharpness to an already known sharpness advantage and fixed focal length lenses blow zooms away in that area. You need to get used to the focal length. It will throw you at first when you move in for a shot and you can’t focus because your too close. Something you certainly need to practice when first buying your prime lens. Having just one focal length, you as the photographer have to move in to be closer to the subject or move out to get the subject completely in the frame. While that is an advantage on one hand to enhance creativity, it can be a disadvantage on the other because sometimes at a wedding, for example, you can’t get in close enough with a prime lens to obtain a particular shot, where you could if you zoom. Price. This is a huge consideration for many photographers, especially beginners. Top quality lenses don’t come cheap. The exception is the 50mm prime lens. The F/2.8 and F/1.8 models are affordable for even the tightest budget. 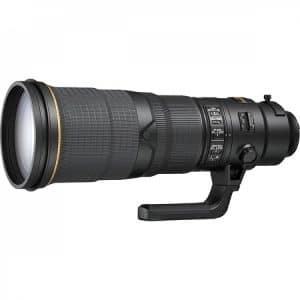 Some of the longer prime lenses in the 500mm range can cost over $10,000, yet professional wildlife and sport photographers wouldn’t think twice, preferring sharpness over price. Once you get the hang of using a prime lens you may want to complement the lens, utilizing ND and polarizing filters to cut down the amount of light that reaches the sensor. The use of such filters will allow you to use slow shutter speeds to photograph movement in subjects, such as water, as well as decrease depth-of-field by allowing wider apertures to be used in bright light situations. Zoom lenses do have their place, especially in situations such as zoos, where you need a variety of focal lengths. At the same time the prime lens does allow for a much better quality image. If price was never a consideration, I believe all professionals and most amateur photographers would prefer to use prime lenses.